This summer I am determined to make the most of our garden. We want to have fun days out of course but sometimes we need time at home to rest and recuperate and the little two love having a day to just be naked at home. We have been planning some fun garden activities for the whole family to enjoy. This was my favourite as a child. 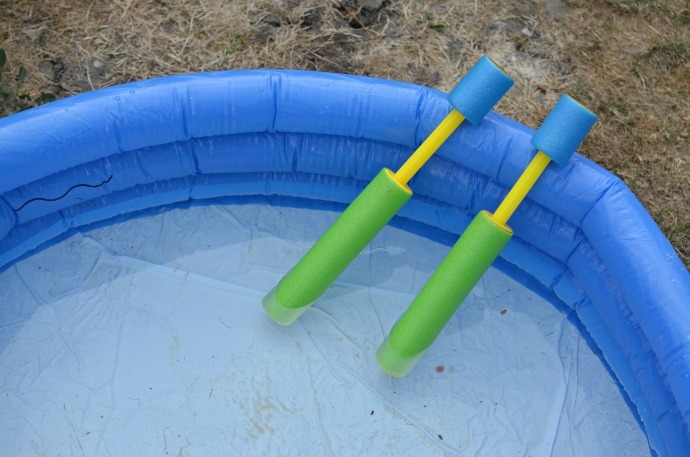 First you have to slide down the slide, then hop to the paddling pool, run through it, go over the stick balanced between two chairs . . . .it was different every time and we would time each other to see who was the fastest and try and get a personal best. I am passing this one on to the children and it is definitely something everyone can enjoy. 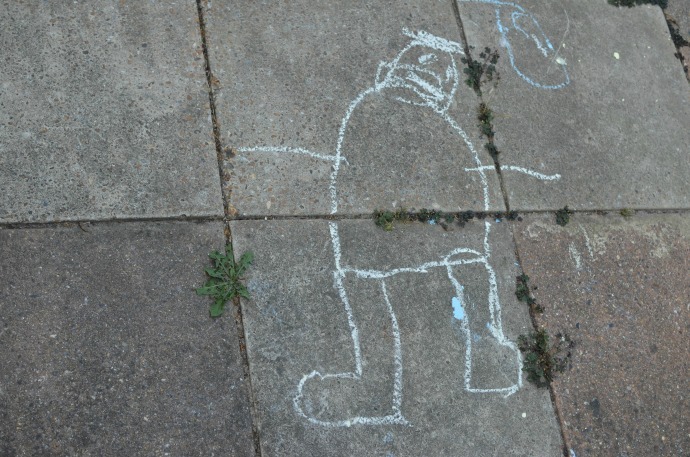 *Or dodgy stick men. One or the other. 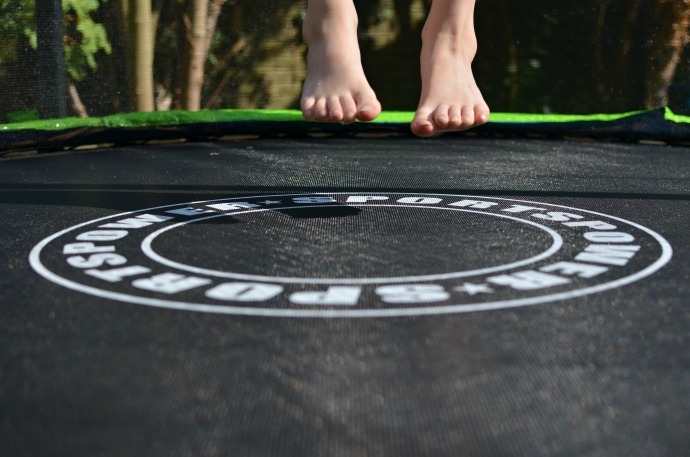 We were recently sent an 8ft trampoline from Sports Power which I single handedly built and automatically earned the first bounce on. It has been years since I was doing swivel hips at school on one but all of us are loving the new addition to the garden! It doesn't matter what size your garden is, there is always a wall to kick a football against. We have a goal in our garden so we can play in little teams or practice our penalty shootouts. All four of the children love it and I need to get all the practice I can! It turns out that when you pass me a water gun I quickly transform into the biggest kid there is! Even my two year old can brandish a pistol threateningly at you so this is definitely a whole family game. As warning if you have two parents playing it can get very competitive very quickly! 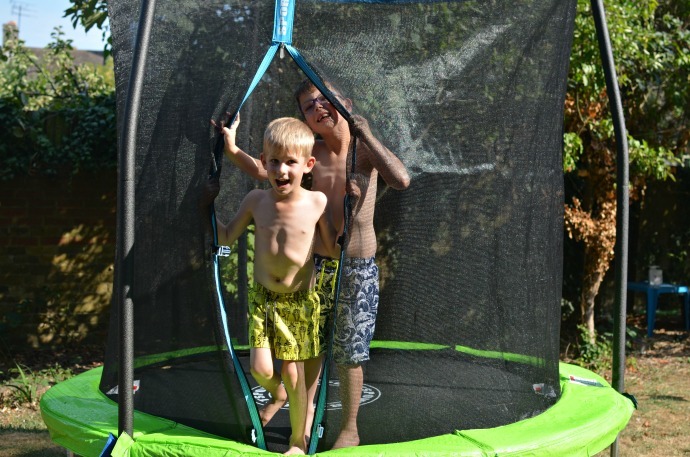 The sports power trampolines are available to buy from Argos, Very and Asda and this 8ft one is under £100! 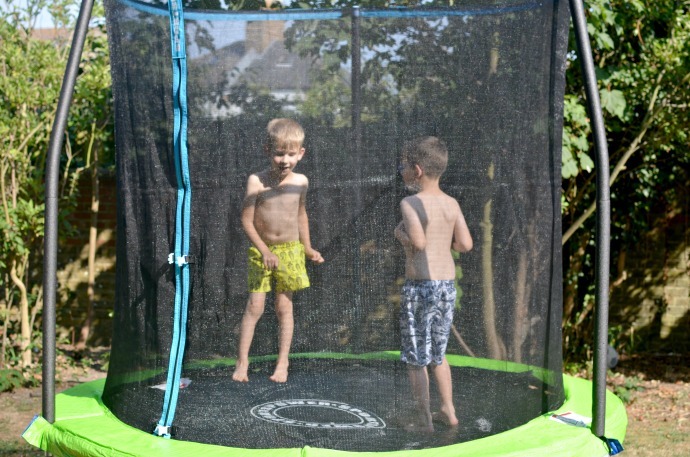 What garden activities do you do as a whole family? Persil Powergems - Laundry for a bigger family.